CASE: Sandblasted bronze case, with lateral engraving FL23883 and engraved stainless steel back, diameter 45 mm, height 13 mm, domed and anti-reflective sapphire crystal, solid case back with engraving, waterproof 5 ATM, crown execution like original Beobachtungsuhr. The most beautiful feature of bronze is its patina. 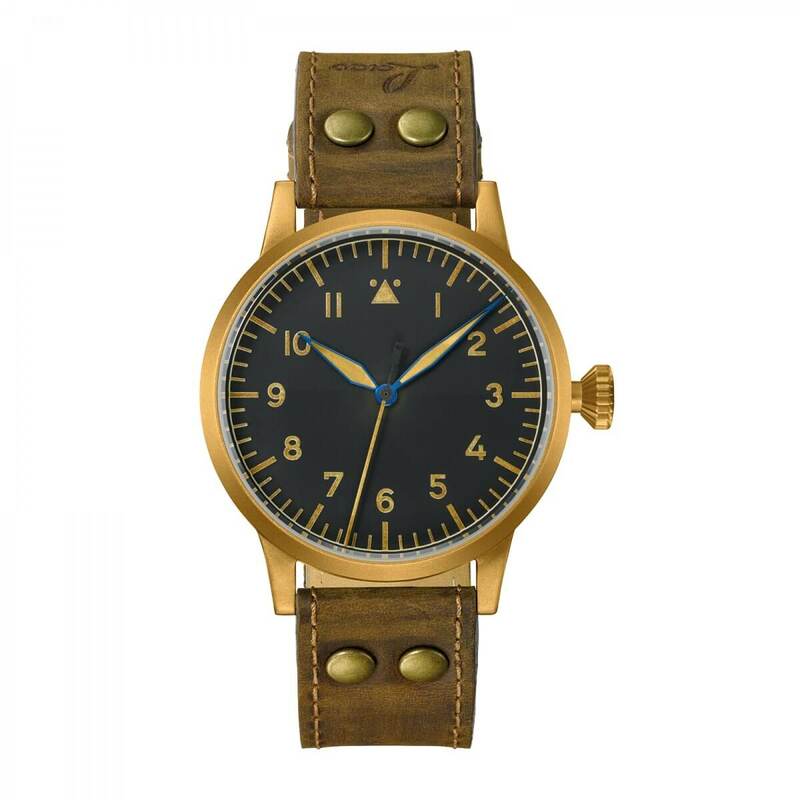 It gives bronze watches a distinctive, individual touch, which develops on every case at different speeds.